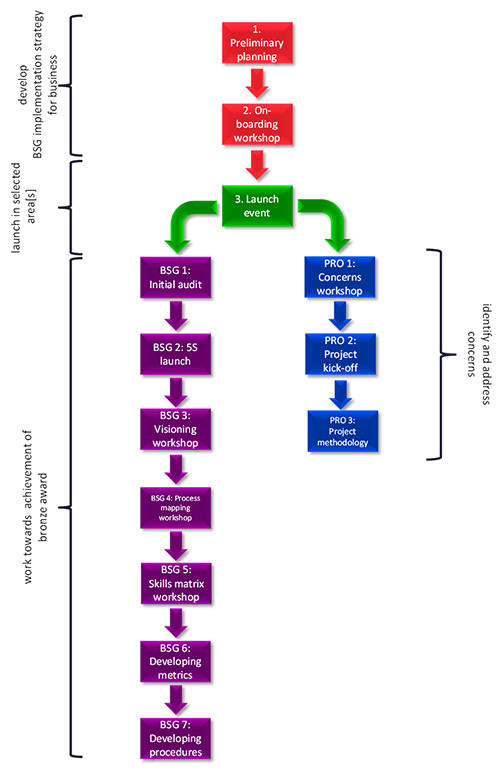 The embedding of a continuous improvement culture is predicated on two mechanisms – project-based activity and self-assessment against a predefined set of performance-related behaviours, which have been graded as ‘Bronze-Silver-Gold’. 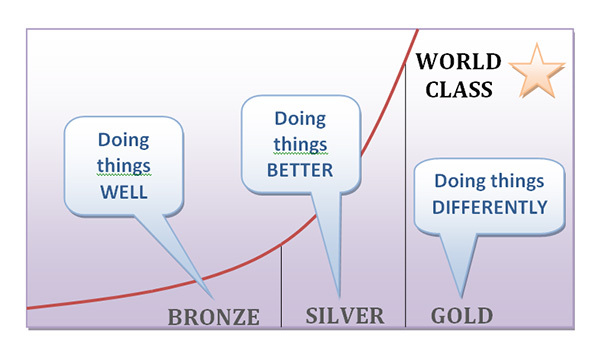 In simplistic terms, ‘Bronze’ level is about ‘doing what we are supposed to do well’ and creates a ‘quality service’ mindset; ‘Silver’ is about ‘improving our processes and quality to better satisfy customers’ and will see the introduction of problem-solving behaviours, tools and techniques to team; ‘Gold’ level represents world-class practice as a recognisable description of daily activity in the organization. 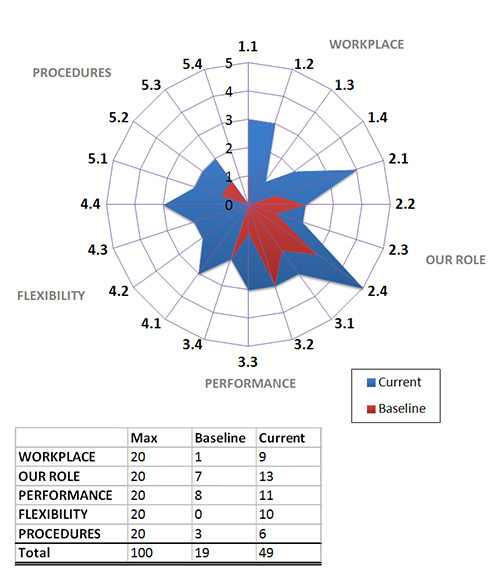 The actions are executed by the workforce, both management and operational team. During the Bronze phase, the company's Continuous Improvement agents (coached by the BHW consultant) conduct a series of workshops. 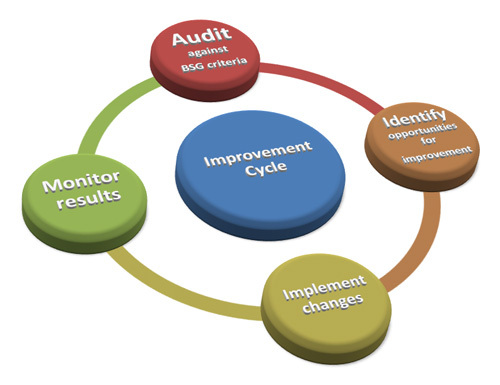 This combination of audit-workshop-action is what affects a change in the cultural mindset of the team.